The past week has been busy busy busy! My students have been working on their novels at home and so have I. I've currently written 28,268 words towards my 50,000 word goal. I'm a bit behind, but I'm sure the long weekend will give me some much needed time to catch up. NaNoWriMo is such a great exercise for all writers. 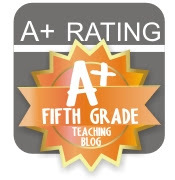 I can tell when my students talking and share their novels that they are already growing immensely (and some their skill far exceeds my own). I'm excited as we head through the last week and a half of novel writing. Between work, writing, birthday parties, and get-togethers I have hardly had a minute to myself. Then on Friday I woke up at 3 am barfing. I tried to go into work, but I knew it was a bad idea and our lovelt office staff quickly found a couple of subs to share my class for the day. On Saturday I had the pleasure of photographing the family of a teacher I work with. They were so perfect and the portraits were lovely! Yesterday my mom was in town and we celebrated my nephew's upcoming third birthday. My husband brought home the new Wii U system and is enticing me with the fun little games, but after about half an hour of fun tonight I had to return to my writing. There is so much school stuff I want to share, but time is just something I won't ever be able to catch up to. But, as you can tell, I've been busy busy busy! I hope I get to share some of it, soon. 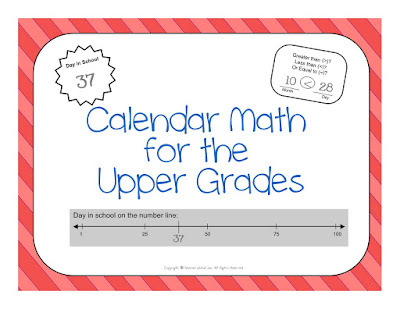 A few of you may have purchased my Calendar Math for Upper Grades from TpT. (Eeek! I just realized I had started a post on this and never finished it!) This is something I use almost everyday with my intervention math class. It's great because the numbers in the days do all the work for you, and it helps students see patterns in the skills they are practicing. Right now it is a small file. I offered it immediately on TpT because it is so valuable to me, and it's actually my best seller. I have already made more pages and will be adding detailed directions for those that already purchased it. I plan on getting this all updated over the long weekend. I'll even get that post up about it too! If you are curious now, go check it out! As soon as I update it those that have purchased previously will get notified of the new download. Just a heads up...the price will go up a bit, so if your interested, grab yours now!